Android ROM developers like Cyanogen and ParanoidAndroid have been partnering with hardware manufacturers to help these phone makers differentiate themselves in a crowded and competitive marketplace. Today, Team Kang at AOKP announced that it will be working with Xiaomi as the latter starts work on MIUI 7. MIUI 7 will be based on Android 5.1 and will debut on the Xiaomi Mi 5. The UI is known internally as MiKangy and is expected to combine all of the features available with Cyanogen, PA, Omni and AOKP. According to a post on the Team Kang website, MIUI 7 will allow users to "create an experience which completely submerges the user in his own world." MIUI 7 will be designed to evolve with the user and this will allow each Mi 5 owner to have different, personal experiences with the phone. The latest speculation involving the Mi5 calls for the handset to be released during the fourth quarter of this year.
" It is a big day for us at Team Kang, and it gives me immense pleasure to bring this news to all fellow Kanglings. Most of you might have been wondering, why after starting work on lollipop, we have been taking so long to come out with any builds. Well, as it happens, we all were busy working behind the curtains on a project, the details of which have finally been crystallised. With Cyanogen parterning with various OEMs and OnePlus grabbing hold of the ParanoidAndroid team, the folks at Xiaomi started considering that to have a larger share of the international market, they needed to collaborate with some established custom ROM community, and hence since last year we had been in close talks. 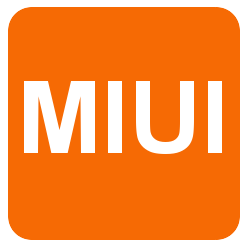 With all the pieces of the deal in place, I wish to announce that all Team Kang members are working with Xiaomi on a new and refreshed MIUI 7, which will be finally based on Android 5.1, and be coming on the Mi 5. Loyal Kanglings who have been waiting impatiently for AOKP Lollipop builds should not lose heart though. We will continue to devote time to AOKP, and builds will come soon. This new collaboration with Xiaomi is an entirely new project and should not be considered as having an effect on the future of AOKP."